Spider Lies is Astor’s second collection of poetry. 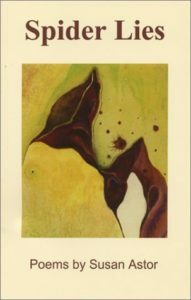 The first, Dame, was published by The University of Georgia Press in 1980. For over twenty years, Astor has worked fulltime as a teacher of poetry in the public schools.